Property 1: Savage Hart Farm Is A Small Sheep Farm With Guest Accommodations. Property 10: Stonewall Silver Unit #1, Direct Lake Front Access, Private Dock! Stunning five bedroom, 4.5 bath home nestled in the Vermont Hills yet minutes away from the center of town and Quechee Club amenities. Property 18: Stunning five bedroom, 4.5 bath home nestled in the Vermont Hills yet minutes away from the center of town and Quechee Club amenities. 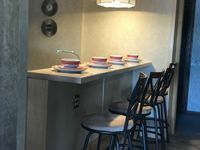 2 Bedroom / 1.5 Bath Condo with Sleeping Loft on top of Ski Hill! 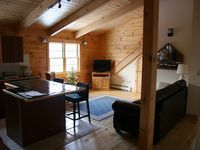 Property 19: 2 Bedroom / 1.5 Bath Condo with Sleeping Loft on top of Ski Hill! Great In Town Apartment in Hanover,NH Walking Distance To Dartmouth College. Property 20: Great In Town Apartment in Hanover,NH Walking Distance To Dartmouth College.